Tan Pro lets you easily time your tanning sessions and track your tanning progress. Independent tan, turn over, and lotion timers let you tan with confidence. Tan Pro uses iOS 4 local notifications to ensure you'll receive your tanning alerts, even if Tan Pro isn't currently running. 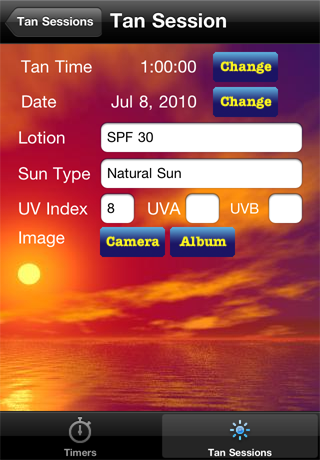 Track your tanning progress with images from your photo album or camera along with other tanning details. 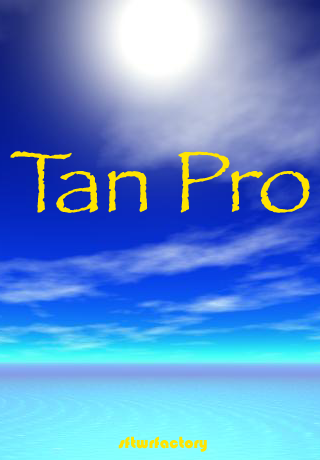 Tan Pro works great for tracking both outdoor and indoor tanning!